How can a locksmith keep my home safe? A job of a locksmith can often be overlooked by many. We all need locks on our doors and need to keep our houses secure so we can stay safe. This means that we need to ensure we have the best possible locks and the best possible security when it comes to our living conditions. Without making our houses into prisons, there’s only so much we can do. A vital part of our security its locks. Everyone has a key to their home and locks their door every time they leave the house. This is to ensure that nobody can just walk into the house and do what they please. No two keys are the same of course, meaning it is impossible to use one key on another lock. Sometimes though, you need a stronger lock or even just a new lock after someone manages to break it. This is no problem as it’s the exact job of a locksmith. Replacement locks: Let’s imagine your lock has been broken, your door is now left without one so anyone could just walk inside. This is very dangerous as it means that a burglar has a prime opportunity to come and take any of your personal belongings that could make them some money. That’s where you call a locksmith to come over and install a new lock for you. For a price, they can install a new lock and give you a brand new key so your lock will be fresh, secure and keep your house safe once again to ensure that you are secure and going to be safe in your own home without the worry of being intruded. Emergency Locksmith door entry: In case your keys get stolen, lost or your lock gets broken, you’re going to need to get inside your house. This is where you call up a locksmith and they come to help you get inside. They will try their best to repair the lock at first but failing that will be able to drill through it to allow the door to open. This means that you’re never trapped outside your house if you’re unable to access your key or lock. You may not need this often but you’ll be extremely thankful once you do. A locksmith is very important to the safety and security of your home. Should you find yourself trapped outside your house or simply worry about someone breaking in. Perhaps the lock became flimsy or someone stole a key and you’re worried they’ll use it. A good locksmith is important to you because you want to be able to be safe and have the knowledge that at all times you will be able to be safe and able to have security in your house at all times. A locksmith ensures this and helps you to be safe. Overall, you should expect the best in quality. Then you should be looking for a reasonable price. 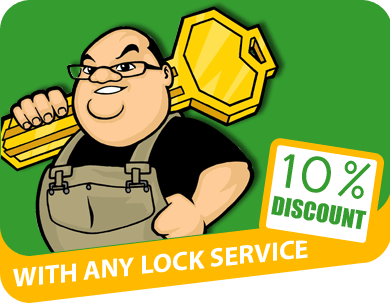 Don’t overspend if you want a good locksmith but don’t go cheap. You get the quality that you pay for. Quality is obviously important when you’re trying to find the best one. You want someone who can offer you the best whilst giving the best price, this allows you to not have to spend too much money whilst being able to remain safe and secure in your home. You shouldn’t have to worry about intruders and you don’t need to with a secure lock that you are confident with and know will have no chance of being tampered with or broken. This would not be the case if you hired a cheap company to make a tacky lock. We are the leading locksmith company in Glendale providing homes and businesses with professional Automotive, Residential, Commercial, and Emergency Locksmith Services. With our locksmiths being available 24 hours a day, 7 days a week, we make sure all our clients stay safe.